Often clients will bring in a cat that is "just not themselves." Maybe a little quieter, not as social with the family, sleeping more or hanging out in the bedrooms away from the family. Occasionally it may be that the cat is getting up on their perches and places but just not moving around the house as much. Some cats may occasionally miss the litter box, especially if the box is in the basement, or is covered and has high sides but there are not any signs of stool problems. A really observant owner will notice if the fur looks less shiny, or more fur clumps on the sides of back of the body. These are really not specific signs for anything and if you have more than one cat it can really be hard to know if they are changes to how much they are drinking and eating. Usually it is when there are number things that are just different, that the owner figures something is going on and brings the cat into the veterinarian for an exam. It may be quite surprising for the owner to find out from the veterinary exam that their cat has diabetes, kidney failure, or another serious disease. How can it be that this cat can be so sick when there were not any expected signs? They must be feeling sick or uncomfortable but they did not show it to their owner. It seems like such a mismatch. Owners are often confused, then concerned that they do not miss more. We need to understand the nature of the cat. It is different than dogs, or other animals in some ways. First understand our own human way that we show or communicate we are in pain or sick. First of all humans have another human to tell that they need help. Human to human is the same species communication so it is not too hard (typically!) to understand. We trust and know that our human helper will get us aid. Cats have a long history of being wild before becoming domesticated. The instincts that kept them safe in the wild are still working for them now. The cat is one of the few animals that is both predator and prey. What this means is that they can be forwardly aggressive and defensive to some animals but to other larger animals they are lunch. The easiest prey for a predator to kill is the sick or injured one. So when sick a cat will be quiet or hide to keep themselves out of sight of the predator. Otherwise they will die. Cats also are one of the few species that lives alone in the wild. They live with another cat for mating and after that just for raising their young. So, a cat does not have a pack to help it out when injured. Vocalizing in pain will not bring another cat to the sick one for help. It will bring a big predator to eat the sick cat. So, cats will not meow, or cry in pain unless they are in a severe state and near death. Understand that avoiding using what hurts them and finding a way to live is the survival tactic for the cat. This is why your cat will just stay out of the active areas of the house when sick, find a quiet place and just be calm and not meow or vocalize even when their beloved owner is near petting them or trying to coax them to eat or come out of hiding areas. So the best way to help your cat stay healthy, especially as they age is to be very aware of the usual habits your cat has. If they always greet you at the door, groom themselves after eating, get up on certain furniture especially high places, and are reliant about litter box use any change in those habits is a sign that they are not feeling good. They are not being naughty or just making you mad if they miss the litter box. 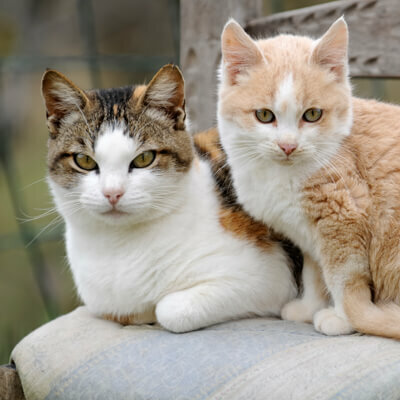 It is commonly due to joint pain in the older cat. If they are not eating their dry food, it is not because they are bored. Tooth pain is likely the problem. Don't wait on getting an exam for your cat. Yearly wellness exams are one of the best ways to keep up on your cat's health and catch any problem before it becomes big. Keep your cat's carrier out and toss treats in it so they are not upset about the carrier. This will help their vet visits be less stressful. Some veterinarians offer house call appointments also. You can always ask if that may be possible. 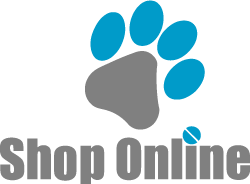 To find out more about cat health and behavior visit our pet behavior articles, pet health articles and the pet library. We are also on facebook!